Fairweather believes that excellent design is the foundation of a successful project. As such, our goal is to be involved as early as possible in the design process. This involvement may be in the form of directly providing design work for your project; a referral to an architect we have worked with; or working with an architect you may have already chosen. Often collaborating with an architect, splitting the design and construction document tasks between us is a winning formula. We are experts at evaluating and developing rural property and maintain a solid relationship with the Building Department. Being able to anticipate the project requirements sets us apart. Fairweather seeks to achieve a balanced approach to design by combining high aesthetic standards, feasibility estimates and practical building experience throughout the design process. Our ability to create added value in the design process is one of our greatest strengths. We love perfectly executed details, long lasting construction, and the use of local reclaimed materials. Green building practices have been a part of our process prior to the term coming into widespread use. We are happy to match your green building goals with the best materials and technology available. Please review our portfolio for a more complete understanding of our enthusiasm for excellent design. We believe that our clients should not only feel good about their finished product, but that they should be left feeling enthusiastic about the process. 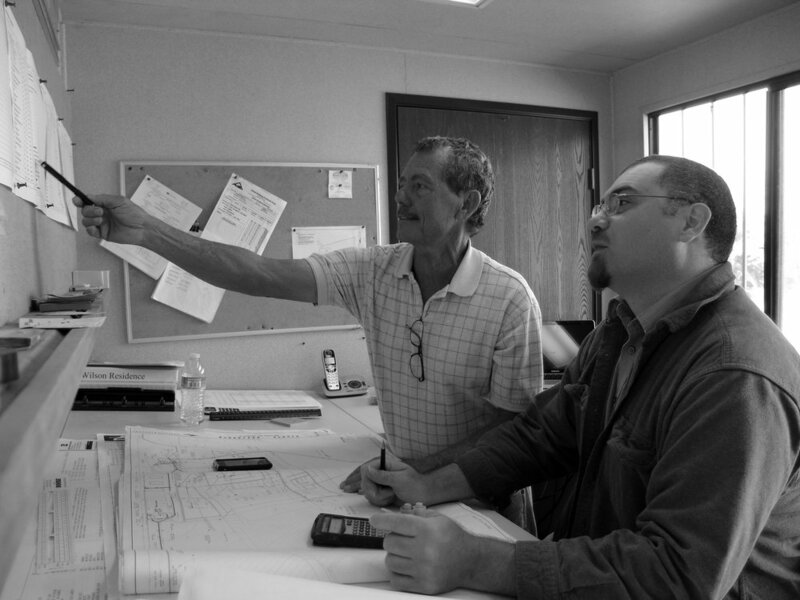 From preliminary design through estimating and construction, we believe that project management is what our clients will ultimately remember us for. Excellent communication, staying on schedule and within budget are the backbone of our project management system. This, combined with honesty, realistic expectations and a we’re-all-on-the-same-team mentality create projects that have been considered successful by all stakeholders. Clear and open lines of communication. Honest, transparent estimating, beginning at the schematic design phase. Careful scheduling, updated as necessary. A clear understanding of the design intent of the project. Minimizing change orders, staying on budget. Committing to a guaranteed maximum price. Scheduled bi-weekly meetings with the client, designer and the project manager. Fairweather can furnish a complete reference list with every client that we have completed a project for. We welcome you to inquire about our client’s satisfaction directly. Fairweather history is rooted in an appreciation of craftsmanship, therefore, we set the highest standards for ourselves. In fact, new employees frequently comment that our standards for quality are higher than any that they have previously experienced. 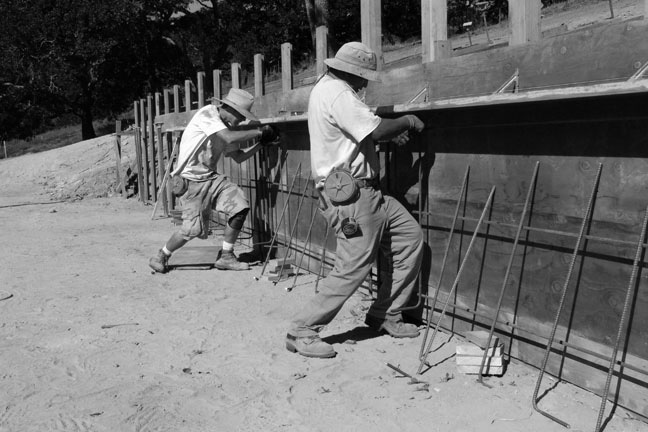 Our craftsmen are urged to always perform the work as if the house they are working on is their own. Fairweather does not subcontract framing or finish carpentry work because to do so would lessen our ability to consistently deliver the quality of work for which we have become known. Industry standards are a low bar in our company culture. The subcontractors that we utilize for mechanical and finish trades have been selected for their exemplary craftsmanship and their professionalism. Fairweather takes pride in introducing our clients directly to our craftsmen so that they may share in the enthusiasm that these people have for their trade. In addition to our staff at the building site we also operate a 12,000 square feet shop where we prefabricate building components, millwork and cabinets. This allows us maximum control over the quality and value of our built work. We are more than happy to offer you a tour of our completed projects so that you can see first hand the craftsmanship that we apply to each project.